In a recent episode of Mashable series The Watercooler, a real-life hedgehog gets the chance to traverse the trails of Sonic The Hedgehog. 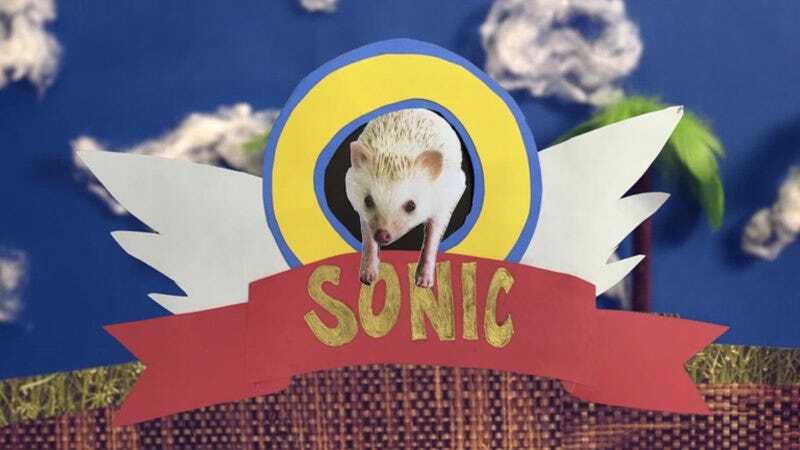 Placed in a what was jokingly deemed a “high-budget replica of the classic Sega game,” Elvis the hedgehog took a day off from his San Diego Zoo duties to see how many gold rings he could snag, and it’s adorable. Watch below to see his final score.